Raaga.com: 'M.S Dhoni' teaser hits sixer! 'M.S Dhoni' teaser hits sixer! 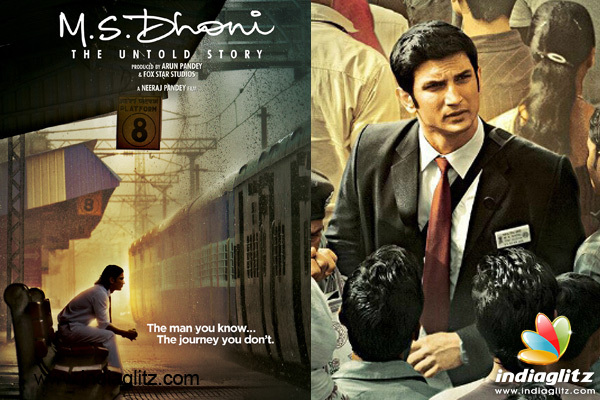 The teaser of 'M.S Dhoni - The Untold Story' that was released recently, has been a teaser in the true sense. The teaser has managed to leave the people intrigued and curious to know more about the film. The teaser features Sushant Singh Rajput, who is seen playing MS Dhoni as a ticket collector and that has been an important part of MS Dhoni's journey which a lot of people are not aware of. M S Dhoni is a name in every household but a lot of people do not know of his struggle to reach where he has today. Showcasing a glimpse of that in the teaser has really left the audiences wanting to know more about this personality of India and has created a lot of anticipation for more content on the film. Even Sushant has beautifully and almost effortlessly blended into the character. So much so, that the audiences are convinced to see him portray the role of M S Dhoni. Promising the audiences an Untold story, the teaser M.S Dhoni - The Untold Story gives an insight to the inspiring journey. Everyone, right from the audiences to critics to people from the industry have been raving about the teaser. 'M.S Dhoni - The Untold Story' features Sushant in the titular role alongside Kiara Advani who will be playing the part of Sakshi Dhoni in the film. Helmed by ace director Neeraj Pandey, produced by Arun Pandey and Fox Star studios, the film which is one of the most anticipated films of the year is all set to release on September 2nd, 2016.